Today we will welcome our guest, Helen. 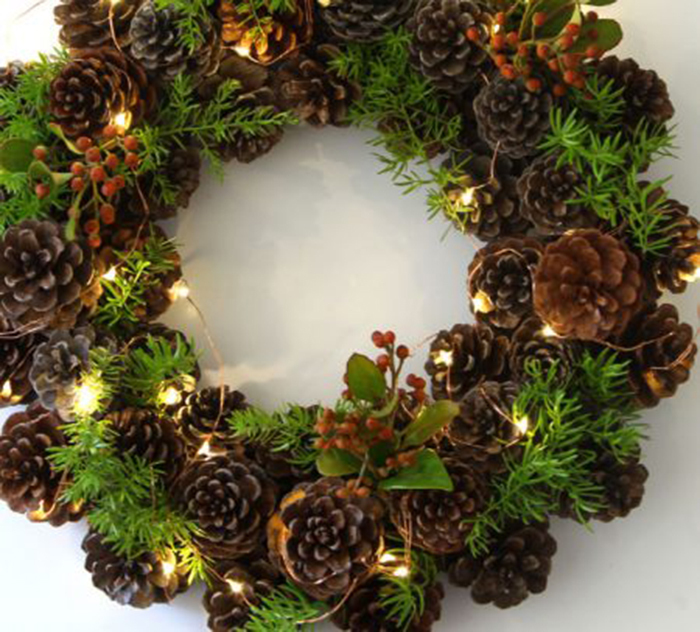 She will give us great tips and ideas to create awesome Christmas lighting decor! One of my favorite project is the plywood Christmas tree! 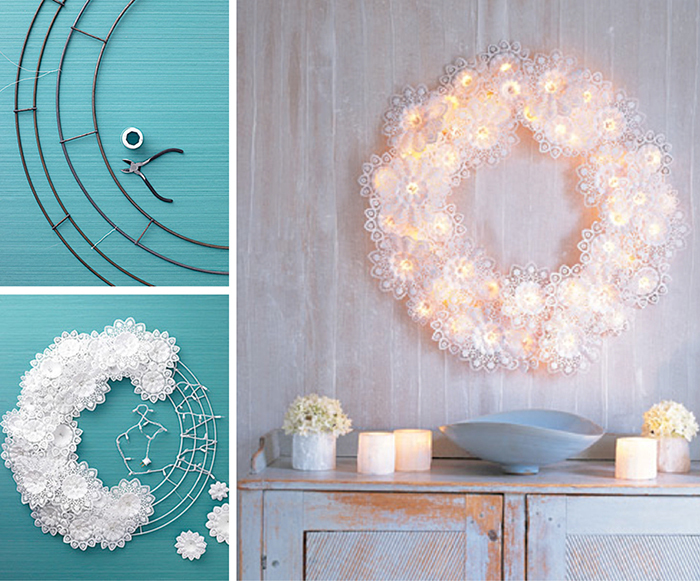 Let’s have a look and get inspired by these amazing Christmas crafts. While fully aware of the design principle that LESS IS MORE, many of us still can’t help going overboard when it comes to Christmas decorations. But let’s face it: sometimes the best arrangements are those that take a few elements and make them look stylish. cabinets. 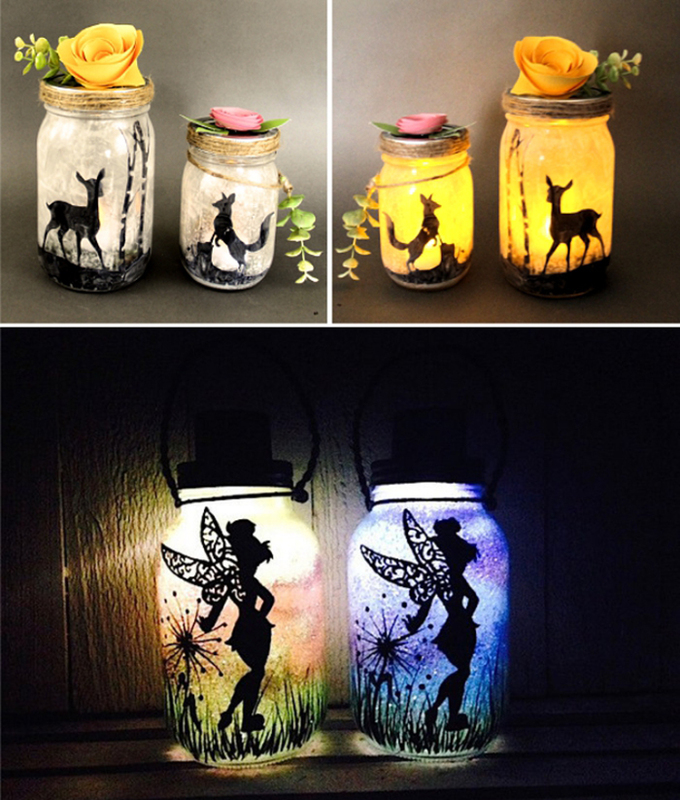 Light them up with some crafts will make all the differences! 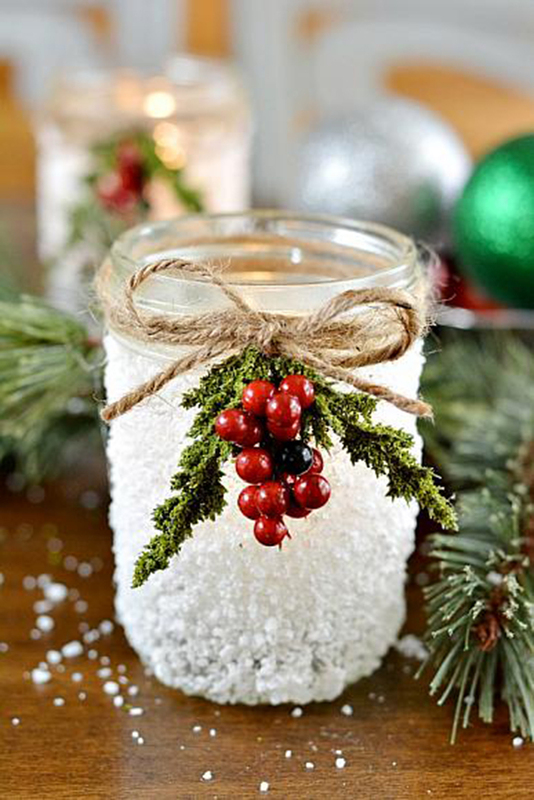 other materials, then you get these beautiful snowy mason jars! 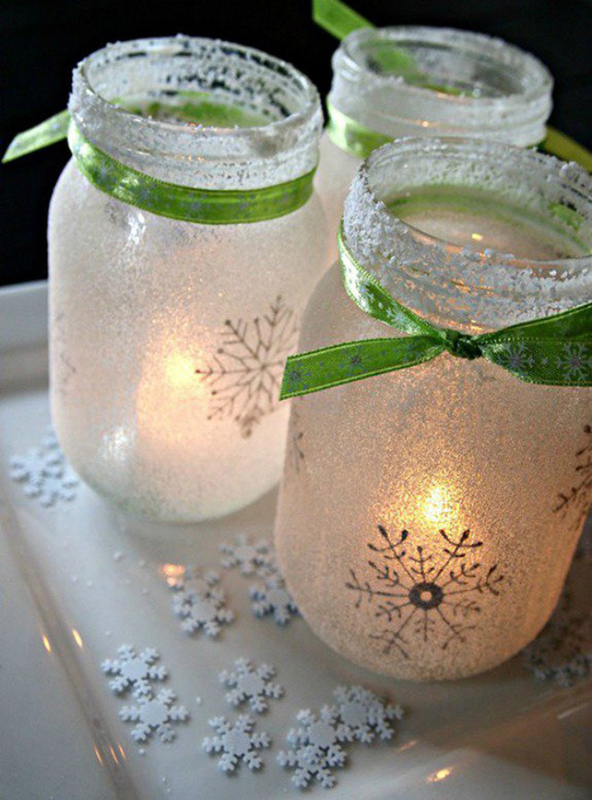 Or you can go different by adding snowflake elements to the jar like these. sure to add a fairy touch to your Christmas! 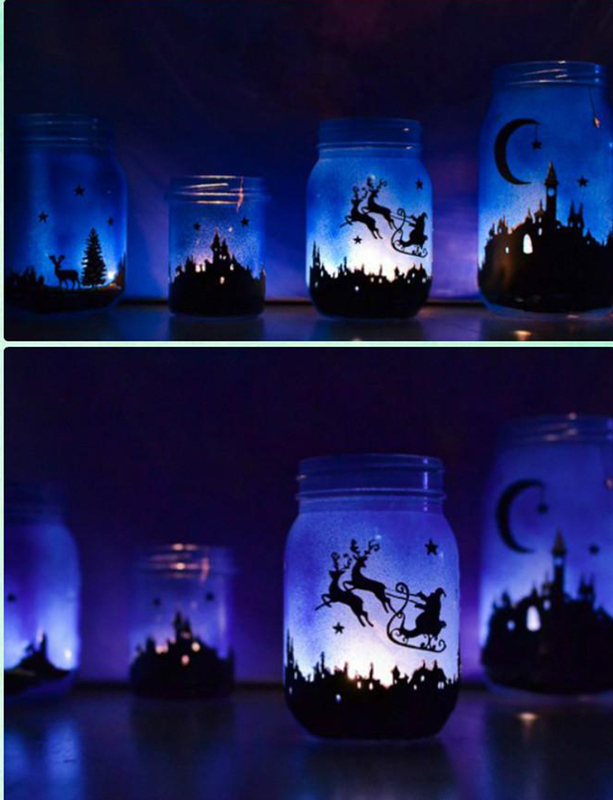 Jars of different sizes & shapes, spray paint, paint marker, bright white string lights. 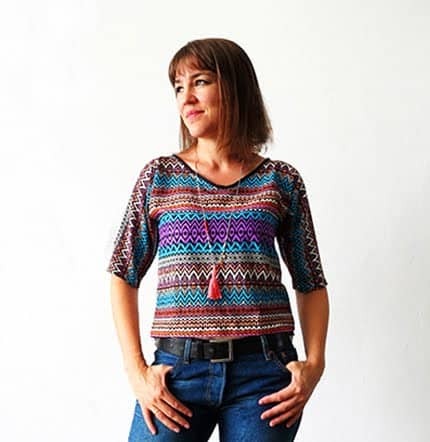 Just get creative with the patterns and color combinations! 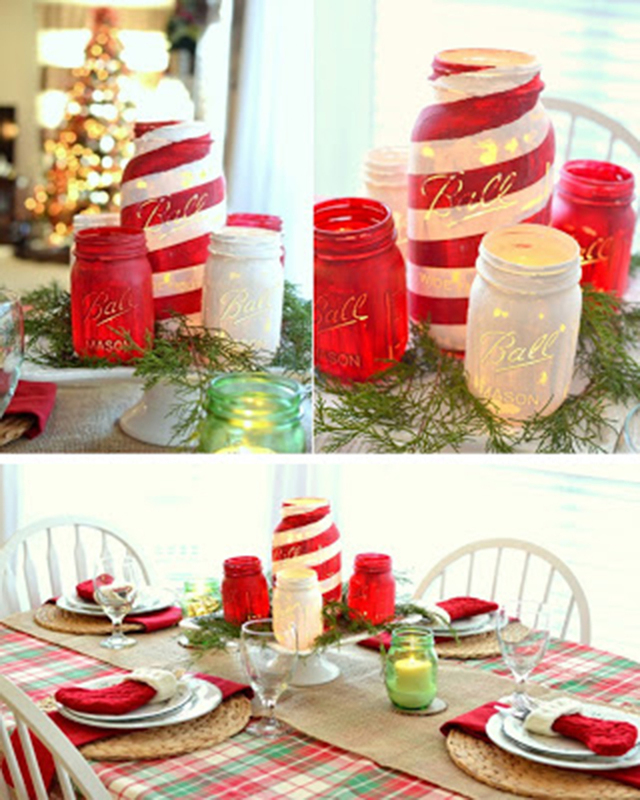 Christmas table with this mason jar centerpiece? 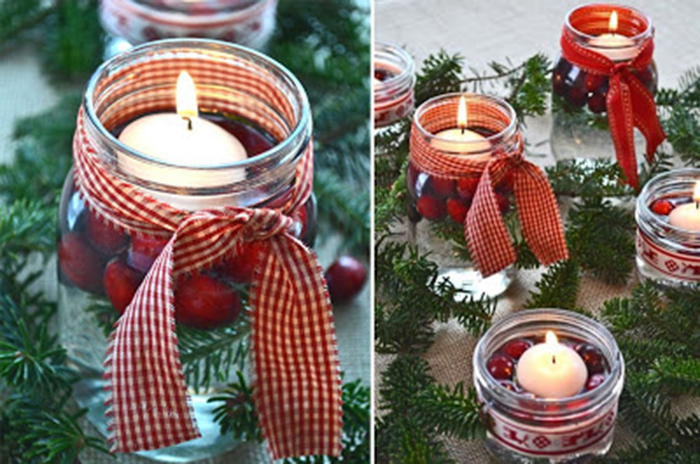 Or try this gorgeous centerpiece required only mason jars, floating candles, ribbon, and some fresh cranberries! 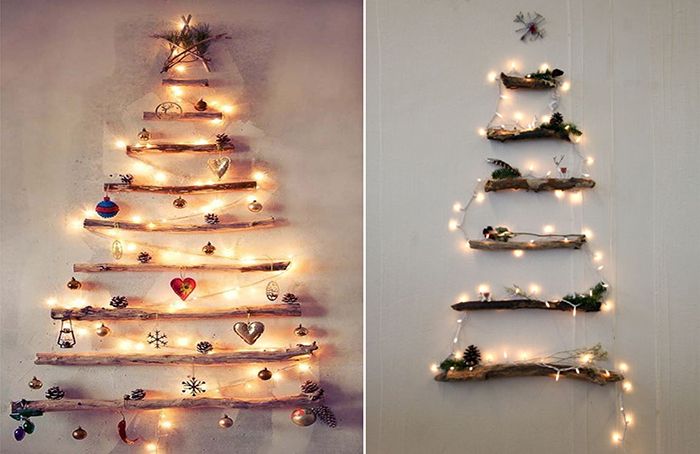 A Christmas tree outlined by trunks and string lights will bring rustic sense to your house. 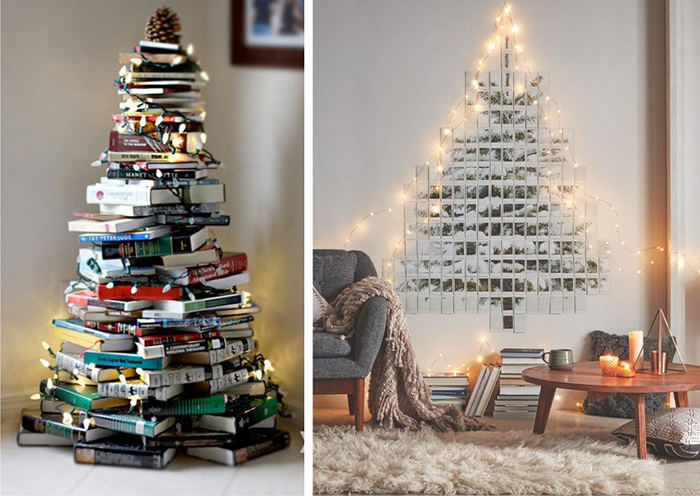 tree shape are sure to add Christmas flavor to your study. 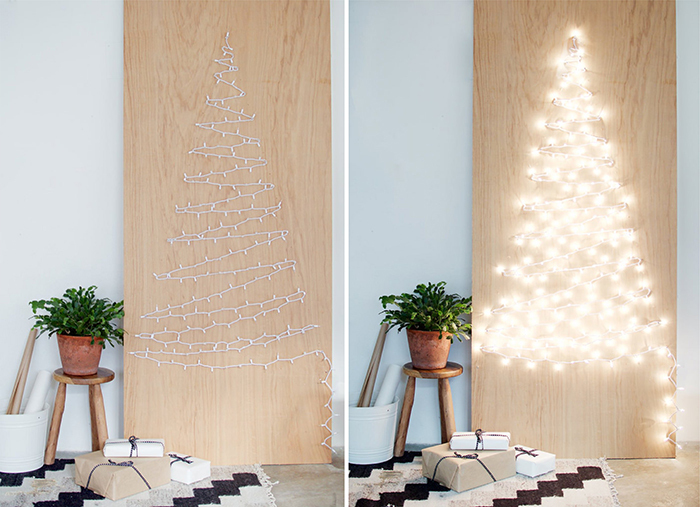 A Christmas tree shaped by string lights pinned on a wooden panel will complement any minimalist setting. you can’t miss for a romantic Christmas! Since gift is an indispensable element for Christmas, a twinkling gift box will certainly be the highlight of your holiday! 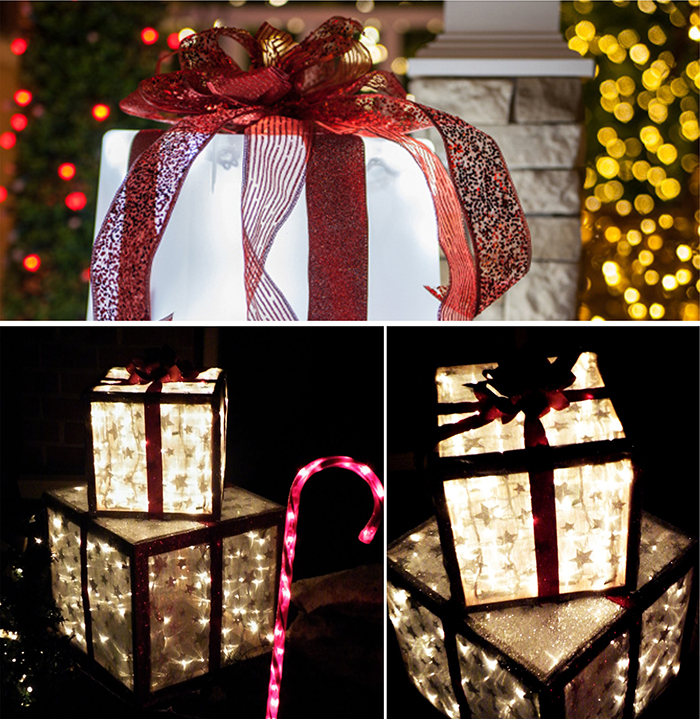 Wood frame/ Semi Translucent Plastic Container, string lights, mesh ribbon. 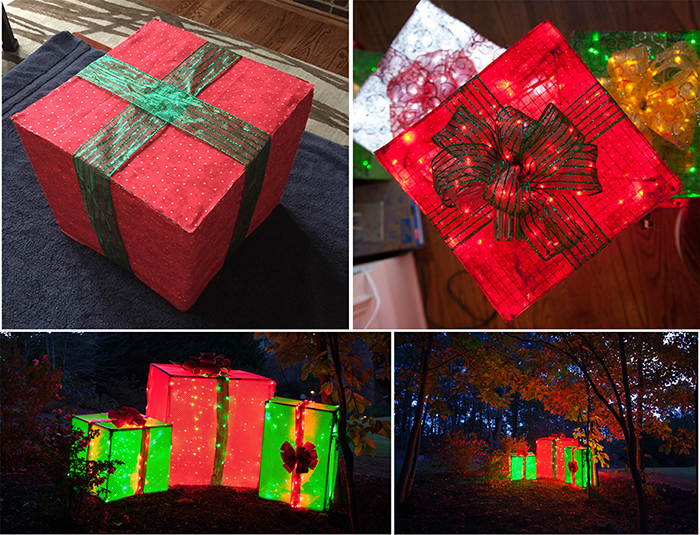 You can also wrap these gift boxes with fabric like these ones! 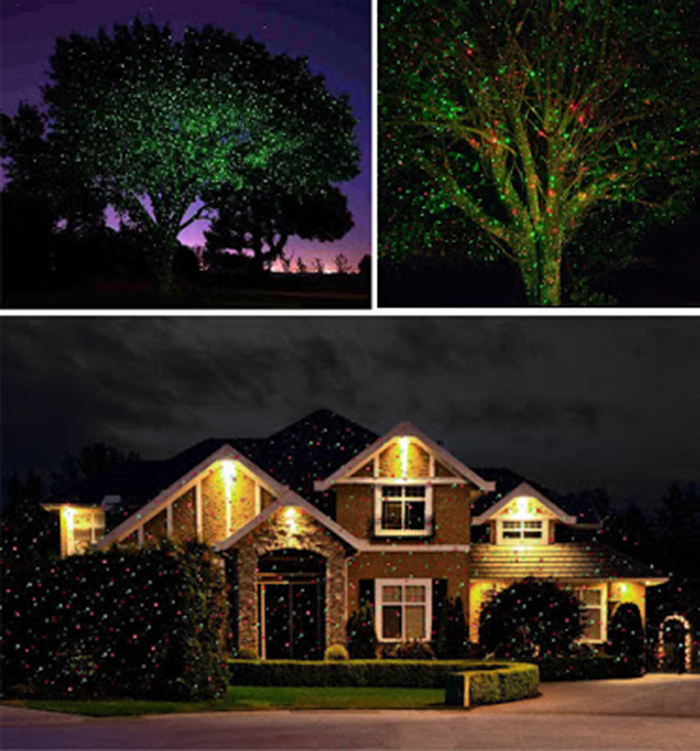 With a simple unplugging of a cord, your house will become a Christmas paradise which envies your neighbor! decorations are those that please but not dazzle your eye. Now, it’s time to get your project started! >>> You can find the original post here.